The ultimate aim of Yoga is to induce deep relaxation and recuperation of the body-mind that leads to greater self-awareness. As you learn to relax and to direct your attention deeper and deeper into yourself, you can discover who you are and all the great things that lie within you. Yoga is a modern movement that soothes the spirit and shapes the thin body. With the improvement of people’s quality of life, the yoga movement has become the best choice for the modern man. As a lover who wants to learn yoga, yoga mat is naturally the first step in the journey of self-cultivation. Choose what kind of yoga mat, very key. 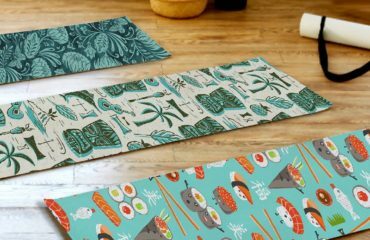 The market’s yoga mat has many, according to the main material, may divide into the NBR yoga mat, PU Yoga Mat, the PVC yoga mat, the TPE yoga mat, the flax yoga mat natural rubber yoga mat. As a tool for daily movement, yoga mat has three most important indicators: environmental protection, safety, softness and comfort and convenience. In terms of environmental protection, three kinds of yoga mats made of chemical materials have a certain harm to the human body for a long time. The flax yoga mat and the natural rubber yoga mat are five kinds of material, the environmental protection performance is very high two kinds, specially made by the natural rubber yoga mat, can do absolutely safe harmless. Some yoga enthusiasts because of the rubber yoga mat taste and questioned its safety, in fact, natural rubber yoga mat exudes the odor is pure natural rubber flavor, is essentially the nature of the taste, is completely harmless. Moreover, the natural rubber mat has the very good non-slip resistance, may avoid the yoga amateur in the movement to appear the slippery injury and the Luo injury. Especially for beginners who have just stepped into the door of yoga, it is important to prevent bruises from slipping. In terms of comfort, the natural rubber yoga mat, with its high resilience and softness, allows yoga enthusiasts to devote themselves to the yoga movement, bringing unparalleled yoga enjoyment. In terms of portability, natural rubber pads are easy to clean, easy to take and carry, allowing yoga enthusiasts to feel the charm of yoga anytime, anywhere. In addition, the quality of durability, is also one of the important advantages of rubber yoga mat. Yoga is a relaxed spirit, self-cultivation of the arts, a high-quality yoga mat will bring us a more comfortable experience. The natural rubber Yoga mat is the best choice for yoga enthusiasts, according to the principle of environmental protection, safety, softness, comfort and convenience.